Question 41: Many contemporary elders have recently been glorified as saints. Why is the process for the glorification of Elder Joseph the Hesychast been so slow considering Elder Ephraim was a devout spiritual child of his? Answer: I receive questions about the canonization of Elder Joseph the Hesychast a lot, and it is usually in light of the activities of Elder Ephraim of Arizona in America and how he has become well known through him to many Americans. However, the process to receive official glorification, especially through the Ecumenical Patriarchate, is a little more complex than most people realize. First of all, when it comes to contemporary elders, it is unusual for someone to be glorified within a century of their death, though of course it does happen. And the reason it happens is because usually a bishop will write up the necessary paperwork, which takes much time, and they submit the request to the Ecumenical Patriarchate. Then the Ecumenical Patriarchate has to review it before making a decision. The current Ecumenical Patriarchate under Bartholomew has probably canonized more saints than any other, and they only usually do one or at most two a year. I have not heard of any bishop submitting the paperwork for the canonization of Elder Joseph, though it may have been done. Though he is a popular elder in America because of Elder Ephraim, in places like Greece he is not as popular as the more recently canonized holy elders, and not as popular as many other elders who deserve to be canonized, like Amphilochios Makris, Philotheos Zervakos, and many others. So unless his name and paperwork have been submitted by some bishop, it is unlikely to happen soon, though we may be surprised. Was Jesus Always the Christ and Glorified? 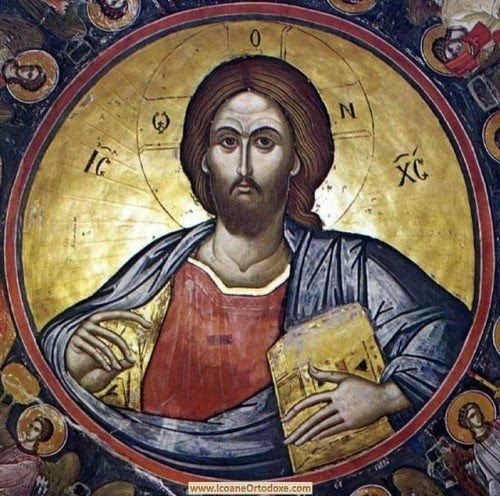 Question 42: Was Jesus always Christ or did He become so at a particular time and event? Also, is it true to say this (Fr. John Behr's words): "It was not until His Passion and Resurrection, that His flesh was permanently transfigured by the glory of the Father and so made incorruptible"? Answer: The word "Christ" is Greek for the Hebrew "Messiah", which is translated as "Anointed One". In one sense you can say He was the promised Messiah throughout the Old Testament, and therefore the Christ in Old Testament times. The Greek word messias appears only twice in the Septuagint of the promised prince (Daniel 9:26; Psalm 2:2). This title was used when a name was wanted for the promised one who was to be at once King and Savior. The New Testament states that the long-awaited messiah had come and describes this savior as "the Christ". In Matt 16:16, the apostle Peter said, in what has become a famous proclamation of faith among Christians since the first century, "You are the Christ, the Son of the living God." Basically, as long as Jesus was promised as the coming Messiah, and then was born and given the name "Jesus" at the Annunciation, which means "Savior", then He came into the world as the Christ from the moment of conception. As for your second question, it is a little difficult to answer out of context and without looking at his source for this. Based on the sentence alone, I would say it is incorrect. The flesh of Jesus was always glorified, and this glory was hidden from the world by choice, except for the moment at the event of the Transfiguration. And as the new Adam, who took upon Himself the flesh of Adam before the Fall, He was always incorruptible, and had the power to allow for Himself corruption. This is why Hades could not hold Him, and death could not corrupt Him. And His resurrected body was the same body that died on the Cross. Question 43: Two questions. 1) I read in one place that Patriarch Gregory V was a member of the Filiki Eteria, and in another place that he spoke against it. Do you know if he was a member for sure? 2) I read in several places that the Filiki Eteria was a masonic society, or at least with a freemason(s) as a founding member. If that is so, wouldn't it be sinful for any Orthodox to have been a part of it? And is that why Patriarch Gregory is only considered a Saint by the Church of Greece, being canonized in 1921 (which was the year the freemason, Meletius, was Patriarch)? Answer: Not sure if Gregory V was actually a member of the Filiki Eteria, I doubt it, but I know he did show his support initially. In one article I have posted on my site, it says: "In 1818, he was contacted by members of the 'Society of Friends' (Filiki Eteria), a secret society that was preparing for revolution by trying to bring together and coordinate the various scattered forces. Gregory showed his support for the cause of liberty with enthusiasm; but, judging that the time was not yet ripe, he advised patience." Basically, he thought either that the timing of the revolutionaries was off and the retaliation would be too severe, or he was protecting himself and the people of Constantinople, which is why he told them to not move forward. There is also the theory that he said this because he truly believed at that time that Orthodoxy was best preserved under the Ottomans. The Filiki Eteria was influenced by Freemasonry, but not a part of Freemasonry. At the time, Freemasonry was very popular in Europe, and if anything was to be done secretly, you had to be part of a secret society. It was not sinful to be a Freemason because no one condemned it until years later, but this was only done by the Church of Greece in the 20th century, and certain Bishops here and there before that, mainly for the fact that oaths were made, and this has even become debatable. In the Filiki Eteria it was clergy who gave the oaths of initiation. Even today the oaths of initiation are made by priests for AHEPA, Parish Councils and even Philoptochos. No one disputes the sainthood of Gregory V, who is a Saint in both the Church of Greece and the Ecumenical Patriarchate. Freemasonry is not associated with him. He was canonized in 1921 in honor of the centennial of his martyrdom. And it was by the Church of Greece, not the Ecumenical Patriarchate. Question 44: I am Orthodox and have seen a trend in some Orthodox and non-Orthodox circles using pseudo-icons and images of Mary & Joseph as a method of protest against the immigration issue going on right now in the United States. I've provided a few links for reference at the bottom of my message. I would to love see an Orthodox examination of this, which is why I'm writing to you. I know it is heretical and blasphemous at least, and I think it would be very edifying if the Mystagogy Resource Center could write an article on the subject. Answer: I probably won't write an article about this, but I'd be glad to offer a few words about it. Basically such imagery is used by the liberal left to promote an open border policy, mixing politics with religion to guilt those who follow the same religion to follow their political views. I also find it pretty disgusting and foolish. I would not call it heretical necessarily, though maybe a bit blasphemous. They are hijacking Jesus for the sake of a political policy they favor and they think everyone else should too. It is not what churches should be doing, giving reasons to divide their flock for the sake of a political issue. A Christian can believe in open borders for all, though I personally think it is a very dangerous idea, and a Christian can believe in upholding the law allowing for legal entry to those eligible based on their situation. To make it a spiritual issue would not hold up in a court of law, and this is an issue of the law and has nothing to do with Christianity. In fact, I would say it is very unchristian to demonize someone for their political views.